-	Complexity of the technology landscape needs to be properly managed and planned for. -	Better planning leads to better execution. Most of these “problems” don’t apply to SME or haven’t been recognized by SME. So how can EA help SME if it isn’t for these above items? -	99% of all companies are SMEs and almost 50% of gross domestic product (GDP). -	There is a resource poverty in SME world. -	Only a handful of SME owners can imagine growing from small to medium enterprise. Most companies start small and die small, as many owners don't have growth aspirations for their businesses. The main EA contribution to SME’s is for those that are wanting to grow their business. Growth Stage models are crucial for SMEs when it comes to understanding, managing and predicting problems that might arise during the transformation of business. Different Growth Stage models exist to aid SME in their growth approach. However these models are also often criticized. One of the key reasons for the criticism is that not all organizations pass through all the stages in the specific order following the stage criteria. How can EA help SME’s growth? EA is indeed relevant for the development of existing SME growth stage models. EA addresses the gap between the different current and future states per area of concern, but it also enhances the model to provide the better understanding of the various operating growth models and the usage of the information and technology. 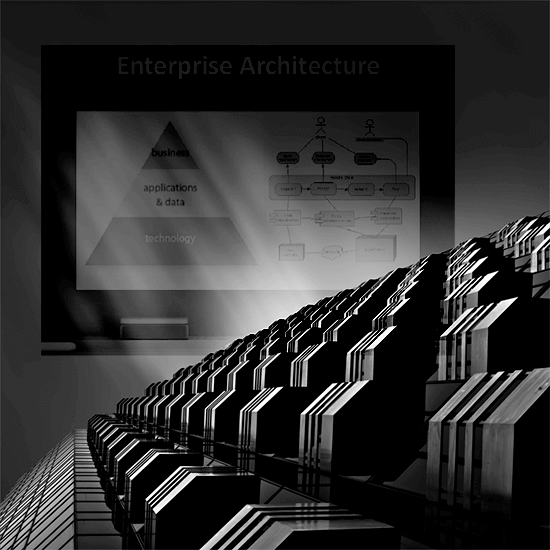 We usually conclude our article with a brief synopsis of how all of his ties back to enterprise architecture software. For the purpose of SME and using EA to support their growth stages the main requirement is that the EA tool must scale and be very intuitive / easy-to-use. SME’s will likely only have one (part-time) EA so scaling means the user license and usage model. Secondly SME’s usually can’t afford to send people on trainings and on-site training is simply not cost-effective for the provider. Other requirements are the core functional requirements of supporting EA activities, even in the SME context we still develop reference architectures, technology strategies and roadmaps so all of this needs to be present as well. -	Use EA to action the gaps between current and future state business models driven from the SME Growth Models. -	As the business growth, technology complexity will increase so starting to apply EA even at a smaller SME level will aid in managing this complexity and maintain agility. -	Start managing technology as an asset not a cost center. Technology is in every line of business and department and a key ingredient of success at any Growth Stage. -	When considering enterprise architecture tools make sure the tool scales from a licensing perspective, is simple and easy-to-use (no training required) and covers the cost enterprise architecture activities such as technology strategies and roadmaps.